Since the invention of writing, people had been trying to come up with something easier to write on than papyrus or parchment, and also something easier and cheaper to make. What is parchment made of? But it took 3000 years to come up with paper! Paper was invented around 100 BC in China. In 105 AD, under the Han Dynasty emperor Ho-Ti, a government official in China named Ts’ai Lun was the first to start a paper-making industry. What was the Han Dynasty all about? Looking for a Halloween costume? Go as T’sai Lun! Or click for other amazing costumes! Ts’ai Lun seems to have made his paper by mixing finely chopped mulberry bark and hemp rags with water, mashing it flat, and then pressing out the water and letting it dry in the sun. He may have based his idea on bark cloth, which was very common in China and also made from mulberry bark. Hemp cloth was also common in China. Ts’ai Lun’s paper was a big success, and began to be used all over China. With paper available, Buddhist monks in China began to work on ways of mass-producing prayers. By 650 AD they were block-printing prayers. Even after people in China began to use paper, it took another thousand years before people were using paper all over Eurasia. By the 400s AD, people in India were also making paper, and by the 600s paper had reached Korea and Japan too. With the expansion of the Islamic Empire into Pakistan about 700 AD, people in the Abbasid Caliphate also began to use paper. 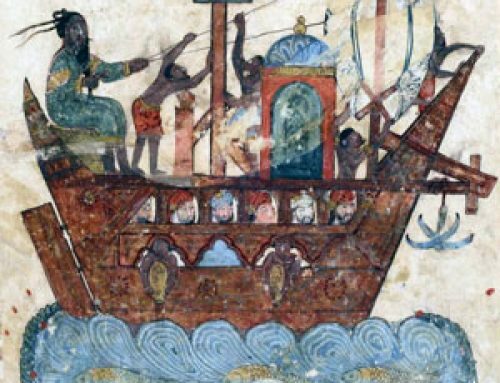 For the traders of the Silk Road, paper had a big advantage: it absorbed ink, so you couldn’t erase it. 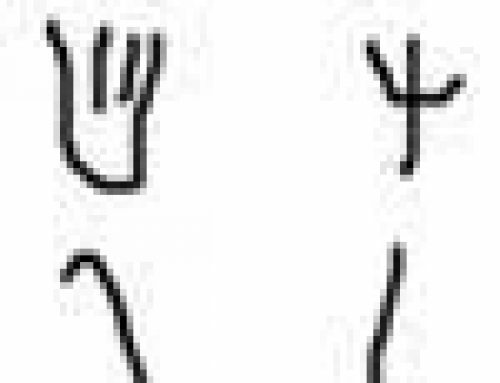 On papyrus, the ink sat on top of the surface and you could just wash it off. But erasing left marks on paper. That made forgery harder. Bankers and businesses started to require paper for contracts. At first traders bought their paper from China, Central Asia, and India. But by 800 AD Islamic manufacturers were making their own paper. As paper reached West Asia, people began to make it into books, instead of the scrolls that people used in China and India. 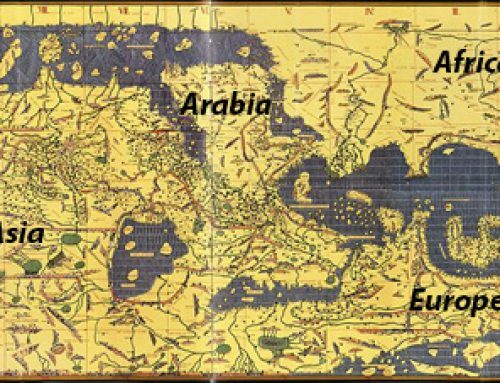 That plan spread eastward, and by about 1000 AD, people were making books even in China and India. To go with the new book format, printers in China invented movable wooden type. Europeans were still using parchment, or buying paper at high prices from Egypt. But that soon changed. 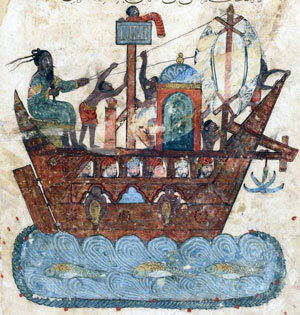 By 1250 AD, Egyptian paper-making technology reached Italy, and the Italians made good paper and sold it all over Europe. Then the Black Death wrecked the paper industry in Egypt. In 1338, French monks began to make their own paper. Europeans used water wheels (destroying salmon runs) to power paper mills, so they could make paper more cheaply. By the 1350s, Europeans were selling paper (along with other things like sugar and sewing thimbles) to people in North Africa and Mamluk Egypt and West Asia. When did people start to eat sugar? What’s the history of sewing? By 1411 – nearly a millennium and a half after it was invented – people in Germany began to produce their own rag paper out of linen rags. 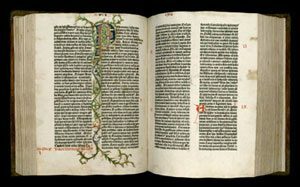 Once they had learned to make paper, they became more interested in also learning about Chinese printing, and a man called Gutenberg produced the first printed Bible in 1453. (This rag paper was still much more expensive than modern paper, which is made from wood with chemicals added). By this time, people in the country of the Aztec (modern Mexico) had also, independently, invented paper. Their paper was made out of agarve plant fibers, and people used it to make books. Meanwhile, in China people were using paper in more and more different ways. They were using paper for kites (650 AD), playing cards (800 AD), folding fans (1100s AD), and even, by the 1300s, for toilet paper! What’s the history of fans? Did you find out what you wanted to know about the history of paper? Let us know in the comments! Cite this page: Carr, K.E. Who invented paper? 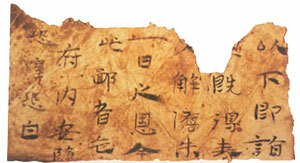 Ancient China and the history of paper. Quatr.us Study Guides, July 27, 2017. Web. April 20, 2019. Oh, wonderful! I’m glad we could help. Good luck with your project! Wonderful! I’m so happy to hear it. Thanks for taking the time to let us know. Do you know what the chinese used it for? Yes, there’s a list of things people in China used paper for in the last paragraph of the article. I can read it but I don’t speak it very well. Why? Yes, that’s right! What a pretty name!